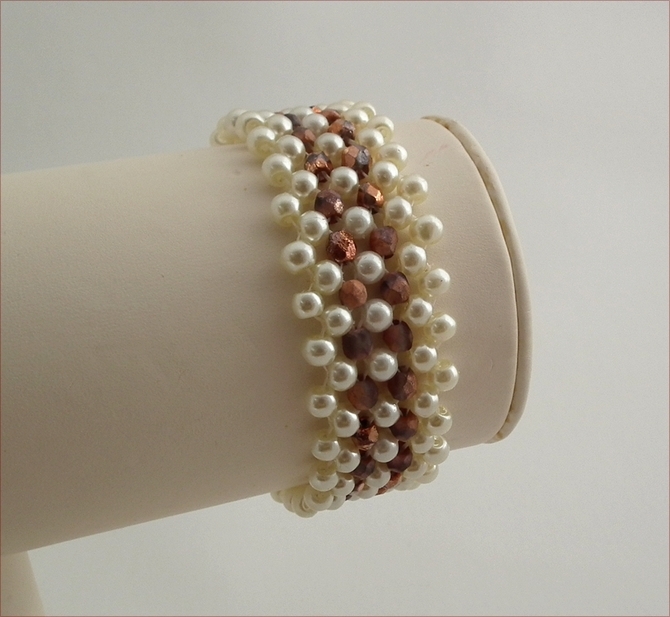 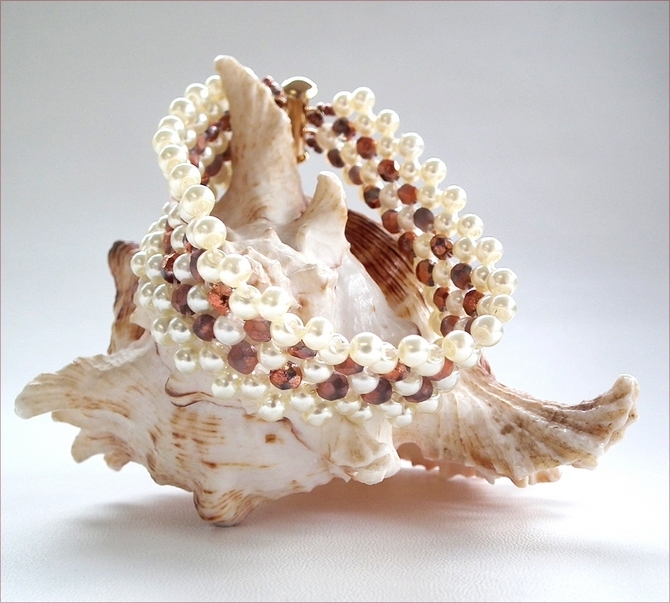 This pretty little bracelet is worked in right angle weave stitch incorporating glass pearls with Czech firepolished beads in an etched finish in shades of gold and copper. 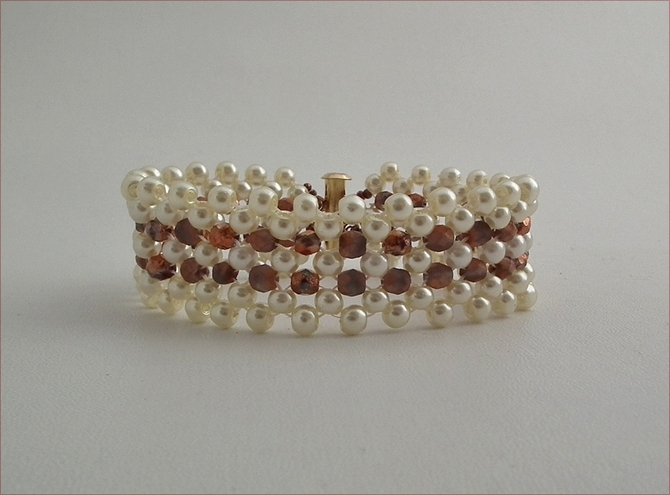 The stitch gives the bracelet a lovely slinky feel. 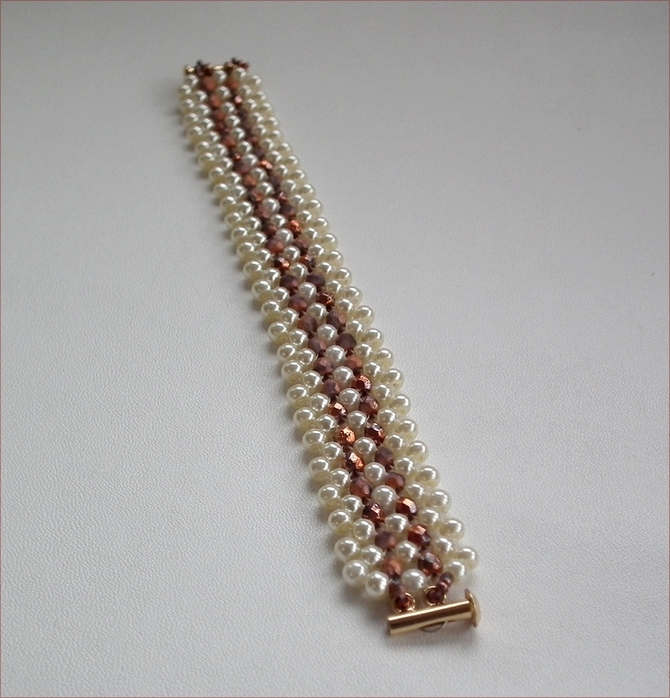 This bracelet is 6.75" (175mm) long, fastening with a gold plated slider clasp (one tube fits into the other - easy to do up oneself). 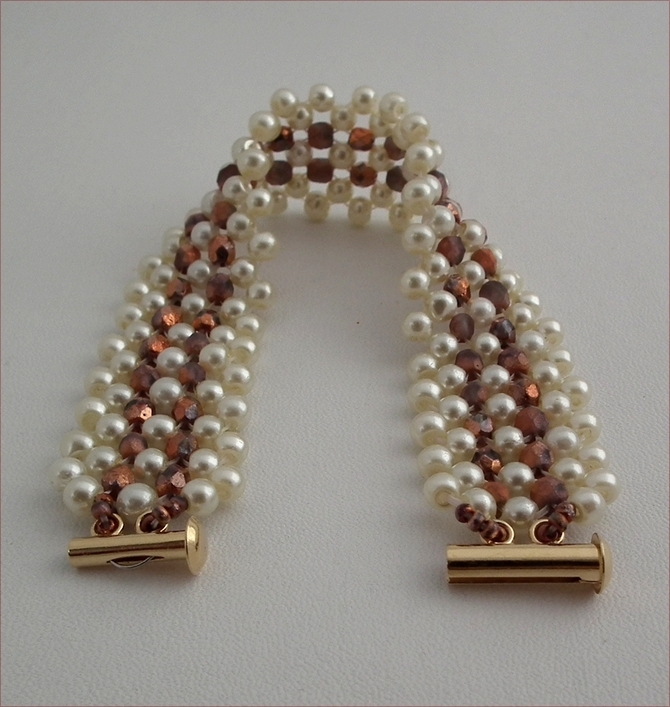 Very wearable, day or night.